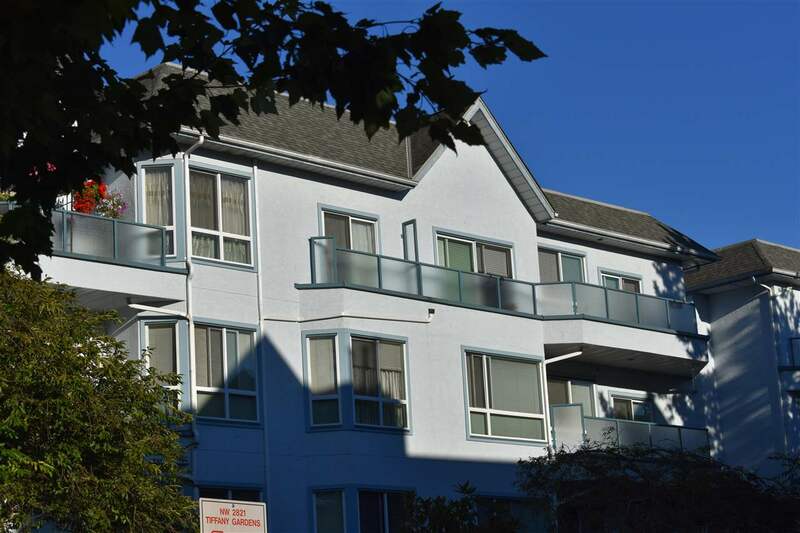 "Lovely and classy 2 bedroom, 2 full bath unit in famed "Marquise Estates" a well managed and looked after complex in super convenient location across from Lansdowne Mall, Kwantlen College and sky train depot. 9' Ceilings make this home Very spacious and bright. Newer: hardwood floors, appliances, light fixtures, bath tub, gas fireplace. A great feature is the Oversized and massive western exposed sundeck which is perfect for entertaining. Conveniently located close to elevator. Lots of work has been done on this building including newer roof, piping, balcony membranes and railings, windows. Insuite laundry, insuite storage, plus and extra storage locker in garage. Reasonable Strata fees. Age restriction of 19 years, no pets."